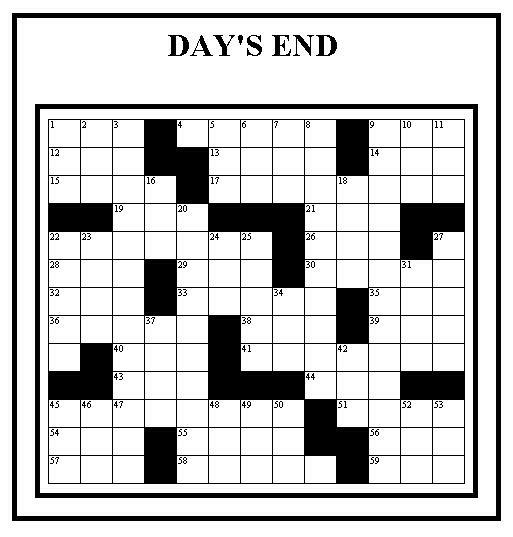 Look up or scroll down for assorted Crossword Puzzles For Print. 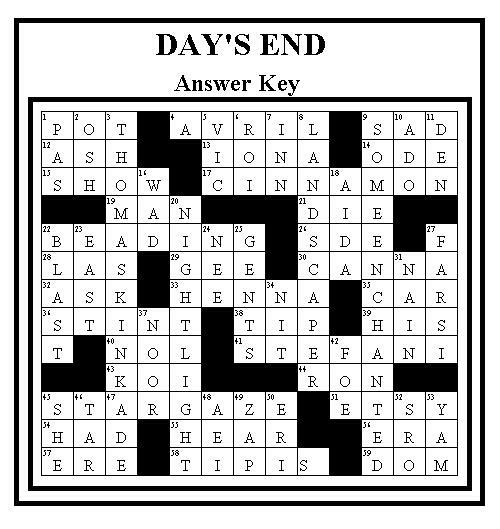 This page features an original, free printable crossword puzzle called Day's End. Just right click on the image and select a SAVE option from your drop-down menu. This will send the image to your picture file. From there you can reduce or enlarge it and adjust the margins as needed for best printed results. To print the clues, drag your cursor over the text to highlight the clues and then copy, paste, and print as needed. Scroll down below the clues to see the printable answer key. For more free printable crossword puzzles and assorted other items, visit any of the links shown on this page. 28. ___ Vegas 20. Tiny illumination device.